While they investigate and look for Buddy we have some little 1:2:1s. Sam wonders how people accept their dead loved ones coming back to life but Mia explains they don’t really question it because they want it so much. While Jack wants to experience a last moment with his mother - showing Mia the video Kelly left. She does and Jack takes the chance to explain how he fears he’s a monster: he has hurt people and doesn’t feel as bad as he thinks he should about it. Mia suggests that it’s not what he is that matters - but what he does. Something she desperately clings to as a monster herself but determined to do the right thing. Time for the brig fight when the big bad attacks and manages to knock Dean out (really Dean, you left a shifter sneak up on you? 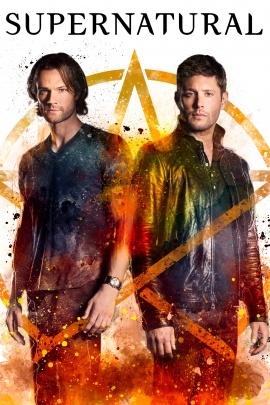 Is it me or is Dean losing his edge these last few episodes?) and tie up Dean and Jack. Oh shifter Dean knocks Jack out. See Jack can be stabbed in the chest with an Angel Blade eleventymillion times and not even flinch but a gun to the head and he’s out cold. And she doesn’t get shot! Believe me I was expecting her to die since the episode began. A Black woman who is a monster determined to be good and willing to sacrifice herself? There are mayflies with longer life expectancies! It’s the first time Dean may have admitted he’s broken here. So what could save him? 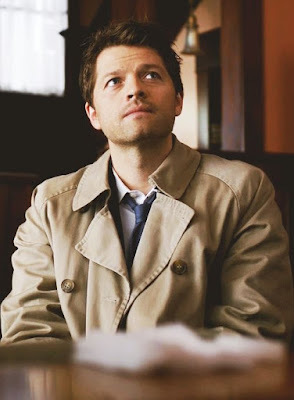 Castiel! Yes he’s in his ocean of endless darkness when a figure of dark gloopiness appears and transforms itself into… another Castiel. Two Castiels! He’s assumed this form because his real form eats the CGI budget would turn Castiel Mad. Which doesn’t work. Castiel it stubborn, angry and determined - there’s only one way that Goopiness will get peace is to send Castiel back to Earth where Sam and Dean need him: otherwise he will stay awake until they’re both completely insane.